I admit that faeries are probably my least favorite paranormal creatures to read about, so I was hesitant about this book. The only faerie books I have really, really enjoyed would be Julie Kagawa's Iron Fey series. 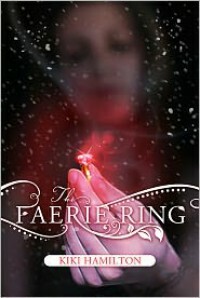 I was surprised by how much I loved THE FAERIE RING and am now tempted to reread it this upcoming winter. This would be the perfect book to curl up with in December, the month in which this story is set. Perhaps I loved this book so much because the main characters are not fey, but rather are humans who live in a world where there is a delicate truce between the human world and the Faerie realm as long as the faerie ring remains safe and secure. I would consider this book to be more of the fantasy genre than the paranormal genre, and I have always been a fan of fantasy stories. The characters in this book were absolutely wonderful. Tiki managed to take care of her family of fellow orphans through her pick-pocketing skills, and it was impossible not to like Tiki because she was such a strong female lead and was so incredibly caring of her family. Her "family" members--Fiona, Shamus, Toots, and Clara--were so endearing and likeable, so much so that I wished that I could give them all hugs. The tension and eventual romance between Tiki and Rieker, a notorious thief respected among the orphans on the streets for his skill, was also very well-written. Rieker had me at "You wouldn't be here pickin' pockets, would you? 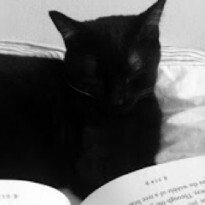 "(the very first line in the book, in which he sneaks up on Tiki who was scoping out a target) because he was such a mysterious and intriguing character. Tiki wasn't sure whether she could trust Rieker to help her sort out the mess caused by her stealing the faerie ring from the queen at Buckingham Palace. The tension between Tiki and Rieker was great, and I loved the revelation of one of the secrets of Rieker's life. I also really enjoyed the 19th century London setting. I can't really think of anything that I didn't like about this book! The Faerie Ring was a great fantasy story and while I felt completely satisfied with the ending, I can't wait to get my hands on THE TORN WING this fall.